The Hills Montessori School’s curriculum is an in-depth and integrated one, designed to develop the “whole child”. The National Montessori Curriculum is taught which has been approved by the Australian Curriculum, Assessment and Reporting Authority (ACARA). The areas of learning covered are: English, Mathematics, The Arts, Health & P.E., Language other than English (LOTE), Technology and the Montessori Cultural Curriculum, which incorporates a broad range of the sciences, history and geography. Students experience interrelated learning opportunities and immersion in various topics provide extensive learning opportunities including the development of cultural awareness and creative expression. Students begin the academic curriculum at 3 years of age. Teachers implement an excellent system of keeping accurate and well-recorded observations of your child. These observations along with other forms of assessment, are used to monitor closely your child’s welfare and progress. Reporting to parents is done both formally and informally each term using a variety of formats. Our comprehensive assessment and recording procedures give direction to developing programs to suit individual children’s needs. We provide both support for children experiencing learning difficulties, and extension opportunities where required. 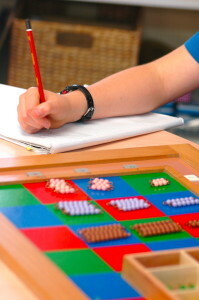 The pursuit of academic excellence is fundamental to Montessori Philosophy. We recognise the crucial role literacy and numeracy will play in your child’s life. Hands-on Montessori materials which are sensorially stimulating help children develop a clear understanding of concepts related to numeracy and literacy. We place considerable emphasis on reading, writing, speaking, spelling and the teaching of formal grammar. Mathematical concepts are introduced, developed and practised through using both Montessori materials and relevant teaching activities. Proficiency is fostered through the memorisation of tables and number facts. The language and culture of Indonesia is taught from Cycle 1 (Reception) to Year 10. Our school is fortunate to own a Gamelan Orchestra with 4 other South Australian Independent Schools. Each year for one term the students have access to the Gamelan Orchestra and have lessons in playing the various instruments. Middle School students (years 8,9 & 10) have the opportunity to be involved in an overseas cultural trip to Indonesia offered every two years. Our school encourages a love and appreciation of music through classroom lessons with a specialist teacher at Yultiwirra campus. 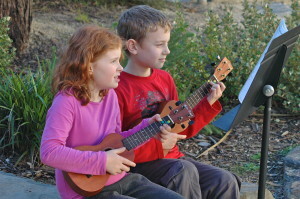 Private tuition is available during school hours in a range of instruments. Singing tuition is also available through involvement in the school choir. Your child’s physical development is enhanced by fitness and skills programs. Our outdoor facilities at both campuses, including hard courts and grassed play areas, provide extensive opportunities for both structured and informal physical activities. The hall at the Yultiwirra campus has the facilities and thus enables students to learn, practice skills and play basketball, netball, volleyball and badminton. Community facilities and resources are also utilised. Students from preschool to Year 10 enjoy specialised Physical Education lessons with a specialist teacher.